When does Frozen 2 come out? Here's the release date and all the details. Disney fans rejoice! 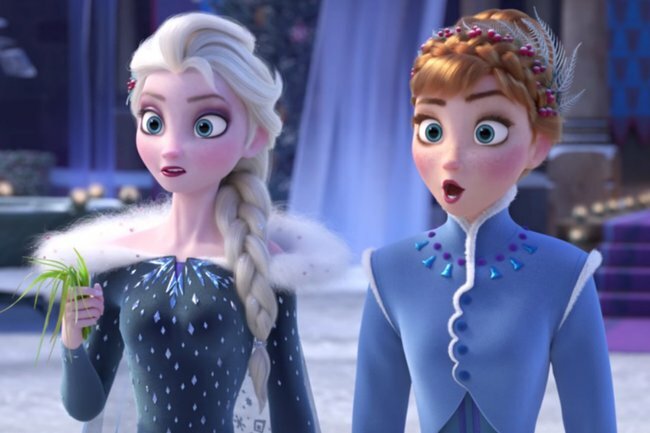 We finally have a confirmed release date for Frozen 2. Parents, we’ve got good news. After five years of having your kids re-watch Frozen over and over and over again, we’ve finally got a solution. Frozen 2 is coming soon. Although details about the film have been under wraps for a very long time, we’ve finally received a confirmed release date. The sequel to the award-winning Disney success is set to be released on November 28, 2019. Although we haven’t received a trailer for the upcoming film yet, it’s believed the new movie will see Elsa and her sister Anna embark on a journey far away alongside Olaf and Kristoff, of course. “I’ll be able to say more when the movie comes out, but there are a lot of very, very intimate moments for me in the movie that feel like they’re from my real life,” the actress told Sirius XM. Westworld’s Evan Rachel Wood and Black Panther’s Sterling K. Brown will also reportedly join Kristen Bell, Idina Menzel, Josh Gad and Jonathan Groff for Frozen 2. Frozen 2 is just one of many exciting animated movies dropping in 2019. This year will also see the much-anticipated releases of The LEGO Movie 2, The Secret Life of Pets 2, Toy Story 4 and How to Train Your Dragon: The Hidden World.